You are currently browsing the Bookmobile News weblog archives for March, 2012. With the success of the first mini-library at Landpaths Bayer Farm on our minds, we couldn’t help but jump at the chance to do it again when we were contacted by Dave Dobbins of the Friends of the Sonoma Valley Library. He and his group have been approaching the other non-profits in Sonoma Valley, particularly those that serve the low-income residents of the Springs area, to inquire about installing books and shelves to benefit their patrons. The response was positive, and with the Friends’ books temporarily inaccessible to them, they asked us to help out. It’s very satisfying to know that when the Free Bookmobile has to be elsewhere, these folks can keep on finding great reading material. Now we’re on a roll and are looking forward to the chance to create additional havens of literacy all over the county! Thanks to two very generous supporters from Geyserville, the Free Bookmobile has recently been able to make patrons an offer they can hardly refuse: for every dollar that goes into our jar, another will automatically be added to help pay our expenses. The great news is that the Fund has just been replenished and the next $500 that is donated on-site will be doubled! We love this matching grant not only because it helps us raise more money but also because it symbolizes a partnership of support across the county. By expressing confidence in what we do, the grant-makers are offering others a chance to join in the crucial task of helping make it happen. The result is that people who haven’t even met each other are working together to expand the possibilities. We are grateful for this creative gift, and welcome other ideas as well. Feel free to drop us a line if you get an inspiration! In case you missed it on our Facebook page, the Free Bookmobile is once again pleased to be a part of the nationwide promotion of literacy that is The Big Read. Sponsored by the National Endowment for the Arts, The Big Read is facilitated locally by the great folks at KRCB community radio & television. This year we are getting the word out about Mexican-American author Rudolfo Anaya and his best known work, “Bless Me, Ultima”. 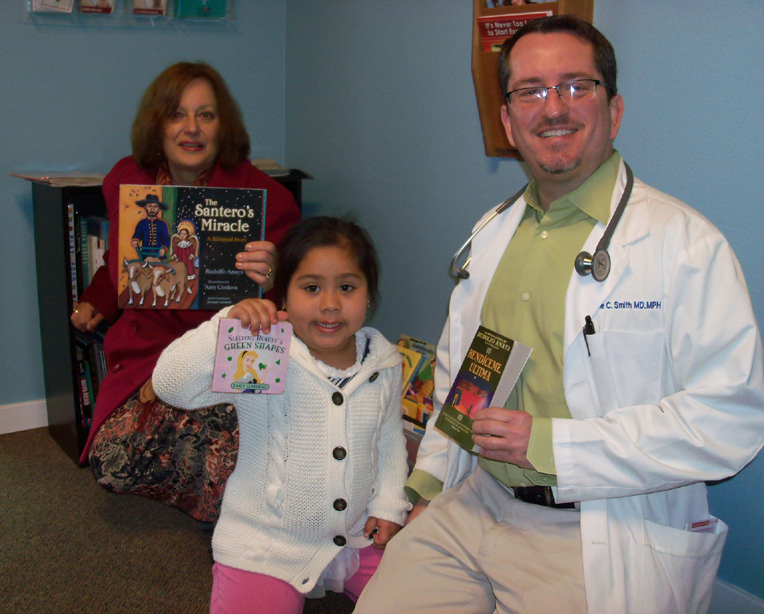 Free copies are available at all of our event locations in both English and Spanish. It turns out Rudolfo was a prolific writer and even authored a number of children’s books. We have been featuring those as well, some in bilingual edition. The Big Read always inspires a host of creative activities around the featured literature, including a cool contest put on by our friends at the United Way of the Wine Country. To see more of what’s been going on in Sonoma County, visit the official website and the Facebook page. 300 events! 13,000 people! 45,000 books! Is it time to celebrate yet? Oh that’s right, we do that every day while working on the program! It would have been hard to predict these results when it was just me and my sons hauling books around the county in a trailer in 2009. But thanks to the tremendous support of this community we quickly expanded that team and have made good on the idea of recirculating books, getting them off the shelf and into the hands of people who need and want them. We just completed our 300th book give-away event (which was service directly to the kids at a Boys & Girls Club) and are now realizing that 13,000 area residents, most who are access-challenged, have come aboard the Free Bookmobile to choose a total of 45,000 books to take home. That includes over 6,000 children and 2,200 seniors!